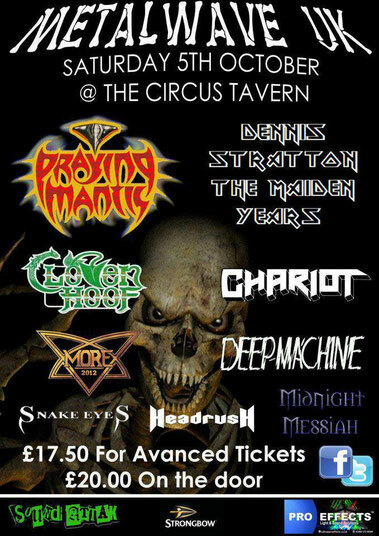 METALWAVE UK first edition will take place at the CIRCUS TAVERN in Purfleet, Essex, England on October 5th 2013. The festival will bring you bands from the late 70's and 80's with their contemporary's all together on one stage in Essex's premier venue, The CIRCUS TAVERN. Visit METALWAVE UK website for more details.